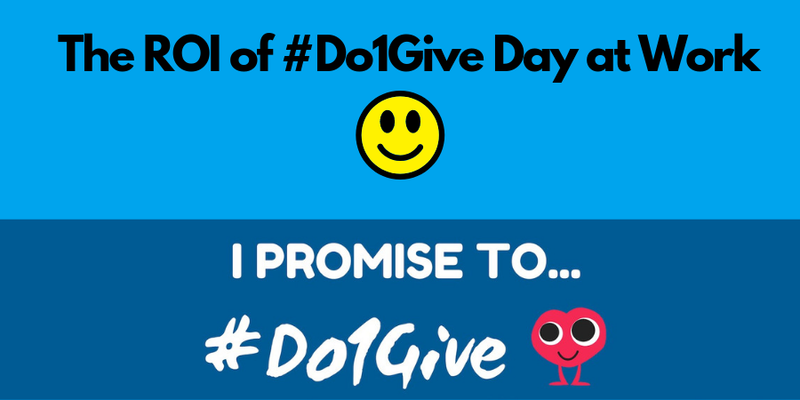 #Do1Give Day is in 6 days! 6 days! OMG. 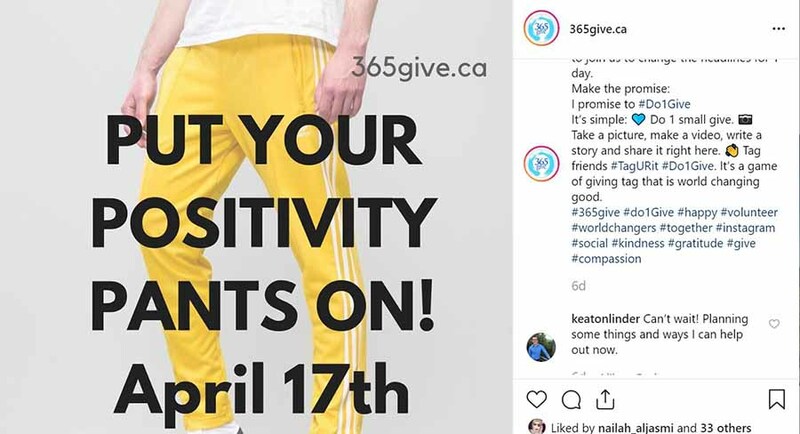 We have been working for 6 months to inspire others to give on April 17th for a grand total of 100,000 gives – in one day. Are you ready? We sure are! People loved last years event so much they wanted to do it again. In 2018 10,000 gives were completed all over the world. This year we are going to make sure 100,000 gives are completed. 100,000!  I am excited to gather our 365give members, students from schools across continents, businesses who are ready to do gives in their office or to clients, and families who love giving in their community. What Is Your Give Going To Be? What we love about #Do1Give is the simplicity of this world changing action. Find 5 minutes of your time on April 17, 2019 to smile at someone, donate towels to an animal shelter, bake cookies for a friend, say thank you, buy a stranger a coffee, or send a note of gratitude to someone. 5 minutes for world changing results. Now everyone can do that. There are no barriers to giving. You do not need money, you do not expertise, you don’t even have to leave your house. You can send a text from your phone, smile at your mom, say something nice to your sister or brother, offer to do an extra chore. You can like a charities Facebook page, you can call a friend and see how they are. Pick one, just one and see how you feel. See how the person who receives the give feels. Both of you will feel happier on April 17, 2019. 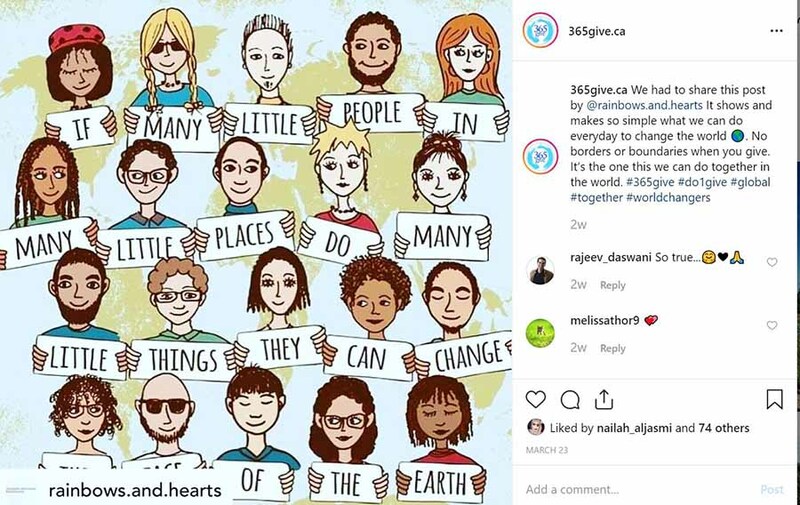 Check out these instagram posts from #Do1Give Day 2018. Students, parents, children and families took part in our goal of 10,000 gives. The smiles tell it all. 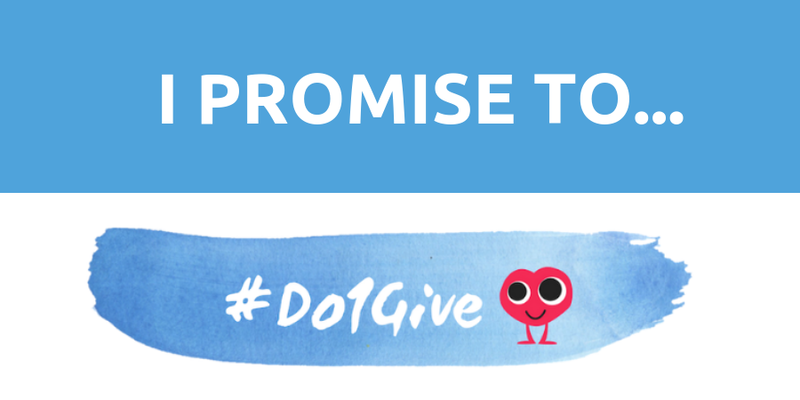 Read more about #Do1Give Day and Promise to #Do1give April 17, 2019.